Decide on Niche. Target a niche market to maintain article focus, facilitate marketing, and ease the advertisement solicitation efforts. For instance, a newspaper focused on youth requires more articles on movies, music, sports, and careers than international politics. A niche focused on women requires more articles on diet and nutrition, women’s health, celebrity and the like. A newspaper that targets a specific city or locality need to offer diverse and in-depth news covering all topics in the targeted area. Businesses that target similar niche constitute the major advertisement market. Decide on Structure. Decide on the structure of the newspaper in terms of number of pages, the percentage of space reserved for advertisements, news, classifieds, features, frequency of publication, and other considerations before starting out. This provides a framework for the business. Starting a daily or even a weekly might be too daunting for an independent entrepreneur working part time from home. Hire Associates. A small home based newspaper cannot afford to hire journalists and editors on permanent or full-time basis. Employ freelancers to cover certain beats on a part time but regular basis. Visit places to write feature articles. Research on latest developments relating to the niche, and make interviews. The entrepreneur can do much of this work, but one person trying to do everything might soon lead to burnout. Arrange for Tools and equipments. The primary tools of the trade are a good computer with a powerful word processor that detects spelling and grammar mistakes, a color printer, a scanner, reliable Internet connection, telephone line, camera, and a recording machine. 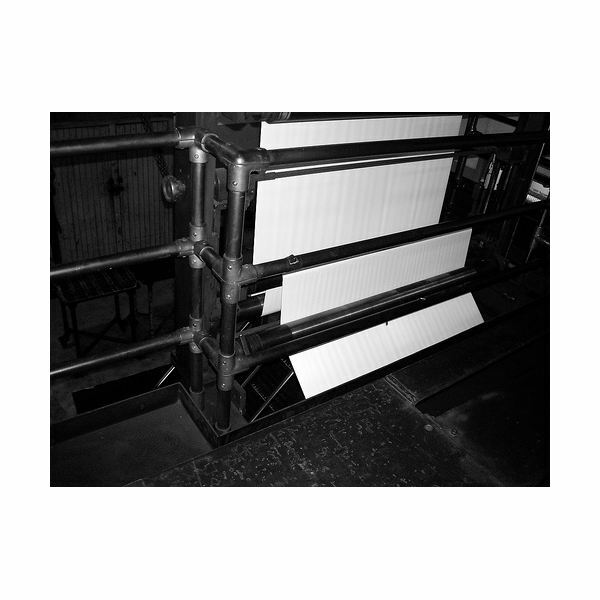 Printing done at a printing press is hassle-free but costly. Installing a heavy-duty printer at home is cost-effective, but requires initial capital expenditure and constant supply of paper and printing ink. Regardless of the approach, have a good backup strategy in place to cater to unexpected events such as power outrages. Legal Registration: Obtain business license from the local county office. Structuring the business as a sole proprietorship does away with the requirement of separate registration for the business entity, and simplifies tax filing. Newspapers however face the risk of lawsuits for libel and on many other counts. Sole proprietorship does not protect the entrepreneur’s personal assets, and registering the business as a Limited Liability Company limits the risk on the entrepreneur’s personal assets. Insurance: Insurance provides the business with some assurance against possibilities such as break down of machinery, accdients when on the road, and many other situations. Adopting a systematic approach ease the complexities involved and ensure smooth operations. Time Management Skills: A newspaper has to roll out at its scheduled time every time, no matter what. The entrepreneur has to managing time efficiently between writing, editing, proofreading, printing, distribution, marketing, soliciting advertisements, accounting and other tasks, and remain motivated while working under extreme time pressure to meet deadlines. Rapport: Success depends on the ability of the entrepreneur to strike a rapport with the key members of the external environment. The supply of news and articles depends on goodwill of people, and advertisements depend on the goodwill of the business houses. Such goodwill stems from rapport. Start-up small newspapers either offer free classifieds and sell the newspaper, or distribute the newspaper free and charge advertisers. Consider competitors’ strategy, strength of the market, and the expertise of the entrepreneur before deciding on the strategy. Even if the adopted model is to sell the newspaper, success depends on distributing the first few issues free as complimentary copies, to attract interest. Selling or giving away the newspaper to the target audience require partnering with relevant shops, establishments, and clubs, hiring agents for door delivery, or approaching newspaper agents to help distribute free copies of newspapers. This task is made easy for online newspapers, as distribution is through emails or the newspaper simply sits in a web address. The effort required to start a newspaper business from home is much harder than the effort required to start many other businesses. However, once established, the reward in terms of recognition, achievement, and sense of having contributed to something substantial, besides the monetary benefits make it worth its while. The author is a graduate in management has has years of experience in managing a business, including starting and running a newspaper.